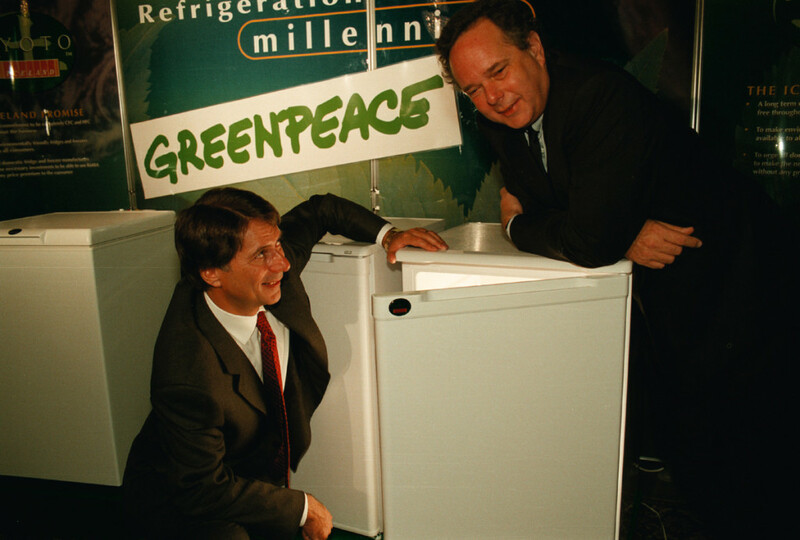 This is the story of how Greenpeace revolutionised your fridge. In 1992, multinational chemical corporations were selling us stuff that depleted the ozone layer. Stuff that was used to cool your refrigerator. Stuff that was also a powerful greenhouse gas. Protecting the ozone layer was one of our biggest missions at the time, so we decided to take them on. Hoping to cling to their multibillion dollar global monopoly, the chemical companies counterattacked by claiming that Greenpeace’s fight against F-gases would “interrupt the cold-chain” with drastic consequences for users and claiming that, “Greenpeace criticizes but offers no solutions”. You probably don’t associate Greenpeace much with innovation, technology or fridges, but beneath all of the actions, we are dedicated followers of the best available science. 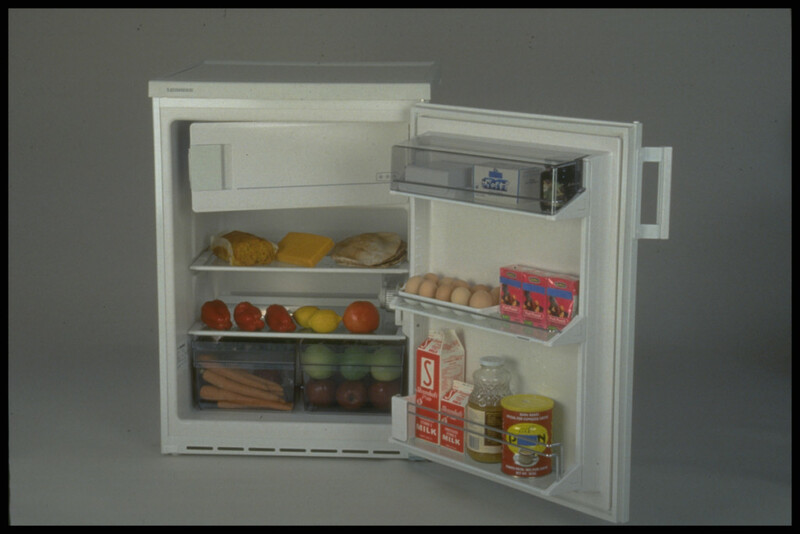 Our German colleagues pulled together a team of engineers, and within a few months they had developed a refrigerator prototype that was efficient and good for the environment, the ozone layer and the climate. It was a mix of natural hydrocarbons. Greenpeace found a small company, Foron, that we worked with to start designing GreenFreeze refrigerators. The next step was to bring these new fridges to the market. We called upon our supporters and got 70,000 pre-orders! This overwhelming response from consumers was a signal to step up production. On March 15, 1993, the first industrial GreenFreeze unit rolled off the Foron assembly line. Within a year, almost all European companies had adopted Greenfreeze technology. Five years later, Greenpeace received an award from the United Nations for making GreenFreeze open source and freely available to the world. And so, the environmentally-friendly fridge was born. Today, GreenFreeze fridges are available all over the world. There are about one billion in use right now, and that number is growing. You may well have one in your own kitchen. By 2020, they’re predicting that nearly 80% of annual fridge production will be using the GreenFreeze-inspired technology. If you want to make the old and dangerous obsolete, you just need the courage to replace it with something new and sustainable. GreenFreeze revolutionised the domestic refrigeration sector and inspired similar developments in commercial refrigeration and air-conditioning. But most importantly, GreenFreeze challenged the status quo, proved the impossible to be possible and sparked our imagination of what a better world would look like. Greenpeace has not founded a company in Germany. The mentioned company was founded in 1927 as DKW and later well-known as VEB dkk Scharfenstein in the German Democratic Republic and renamed in 1992 to Foron. Also Greenpeace has not pulled together a team of engineers, the engineers were personnel of Foron Hausgeräte GmbH. Greenpeace gave an essential support to the development, but was never part of Foron.